We always notice and appreciate the lovely reviews you give us. Thank you. Thanks so much to Andrea Freitas for the recommendation this week. You can hear her on the Feast on History podcast here on BCS and read her blog A Measured Life here! It’s not just that they flap, it’s how they flap that makes the wings of dragonflies so unique and wonderful. Look at those asynchronous little marvels of nature! Wow! Who’s the deadliest hunter on the planet? With 350 million or so years under their belts, it’s these guys. Dragonflies are beautiful but they are also stone cold killers. Dainty, glittery and pretty and the most brutally effective hunter on the planet. 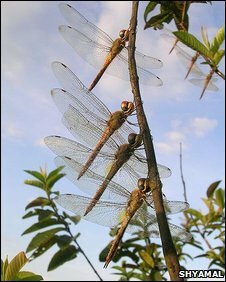 Want to attract dragonflies to your backyard? You can! It’s relatively cheap and easy. Here are some plans for a smaller house box ~or~ you can create your own backyard pond! 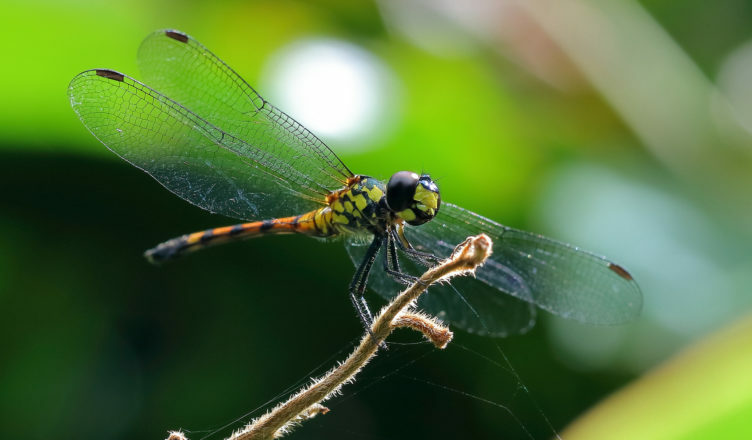 If that wasn’t enough, dragonflies have the longest migration of any animal on the planet! Seriously though after about 7 hours on a road trip I’m looking for the nearest hotel not gonna lie. Now you know even more about dragonflies than you did this morning! What do you think of them? We want to hear from you! Send us your suggestions for animals you’d like to hear us talk about, or just drop us a line about anything at varmintspodcast@gmail.com! We might even read your email on the show. Featured image “Caballito del Diablo (Zygoptera)” was taken by Frayle and was listed as Public Domain at the time these show notes were prepared. Blazing Caribou Studios Donna Hume dragonflies Paul Csomo Varmints!